Tyres. Round black rubbery things that probably don't cross your mind outside of MOT time. Why would you need to involve yourself with those things? Well, you've made the choice to be pro-actively vegan and therefore you're likely fast coming to the conclusion that the "meat industry" manifests itself in parts of our so-called convenient society that you never thought possible. Car and bike tyres are one of those things. A few months back the front tyres on my girlfriend's little Citroen needed replacing. I'd heard rumours about car tyres being non-vegan and in buying them I'd be contributing to that I certainly don't wish to contribute towards. But we need tyres and surely like everything else - food, cosmetics - there's no reason for it not to be vegan, or at least for alternatives to exist, right? So what exactly makes a "meaty" tyre anyway? From what I've gathered, one thing - Stearic Acid. According to Wikipedia Stearic Acid is one of the most common saturated fatty acids found in nature. It's the same thing often found in non-vegan cosmetics and detergents. The good news is Stearic Acid doesn't have to be derived from animal fat at all. Why is it? God knows. It's probably cheaper for manufacturers to get the acid direct from slaughter houses or whichever company prides itself on stripping specific parts of an animal apart. Stearic Acid can also be derived from vegetables and I'm determined to find a tyre manufacturer who can provide a vegan alternative. I start with step 1 - Google. I can't believe just how little information there is on the Internet regarding this issue. Luckily I found one very useful link to a website called VeganFitness where a 3 page discussion was already under way. Members had already begun contacting tyre manufacturers and posting the results. The issue was - most of the discussion was US-based and orientated towards Bike tyres. Granted, bikes and fitness go hand in hand, but I wanted to hear direct from UK car tyre manufactures. I shot off close to a dozen emails to various manufactures of tyres either in the UK or those which import to the UK. The overall response was either "No, we use animal fats", or - more often than not - "we have absolutely no idea". I received confused responses from others who said Stearic Acid was used and therefore assumed their tyres weren't vegan, some replied with a generic response about "meeting all required international standards" which is completely irrelevant. Hearing that those speaking on behalf of tyre manufactures hadn't a clue what went into their product was extremely disappointing. Look at food consumables, we can pretty much find out what we're buying using the ingredients list on the back, or if we're lucky a nice "Vegan" logo makes the process a lot quicker. If I was to contact a manufacturer of food I'd expect a concise response, not "we don't know what goes into our yoghurt, sorry." Ok, we're not eating tyres, but we're very much consuming them. If I'm consuming something - not to mention giving my business to a company - I'd very much like to what they're providing and how they're providing it. A response somebody on the above Vegan forum received beggared belief. To quote: "I am afraid that we can not comment on the chemical make up of our tires. While I understand that your research is solely based on an ethical context, we are unfortunately unwilling to share that type of information at this time." Okay, then I'm unwilling to give you my money. But let's not get too negative. One company stood out from the rest and provided a clear, concise answer to the question when asked by email. 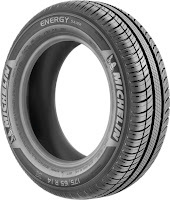 Michelin. Their entire range is vegan, from budget to the more expensive tyre which you can read about on their website. That was what I needed to hear. 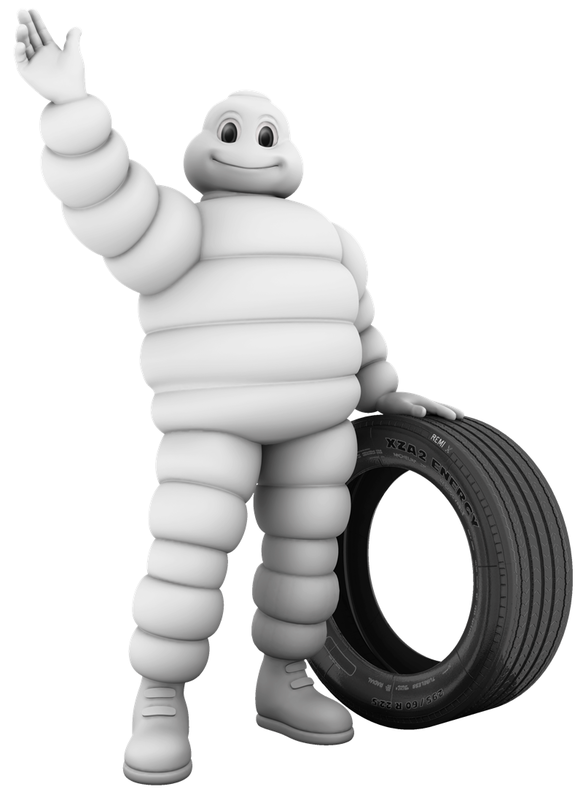 Michelin's range is available in a large assortment of garages so it'd be no problem getting them sourced and fitted. I opted for the "Michelin Energy Saver" which came in at around £50-60 per (fitted) tyre on our little hatchback. A mere £10-£15 more than the very cheapest budget tyres available and far higher rated in online reviews. If your local garage doesn't stock Michelins then it's easy to buy them online, get delivered and pay them the few quid for fitting and balancing. So what more can I say? Manufacturers need to be open, clear and truthful with their customers about this issue. As more people take the vegan route, more people are going to be asking these questions. "Not knowing" or "not disclosing" isn't good enough. Put this information on your website. There is a clear market for an ethical tyres and all companies would do well to provide this across their range. I'll be updating this post soon with a list of companies, whether they provide a vegan tyre option and their response to being questioned. If anybody reading this can take the time to contact more tyre manufactures (whether car or bike) please comment below and I'll add it to the post. "...there are no Animal Products in Michelin Tyres." "Yokohama are using stearic acid from vegetable and animal type so on that basis a small trace of vegetable and animal derived stearic acid can be found in our tyres." "Thank you for your email, it is not a question I have ever been asked before. I have contacted Japan, but unfortunately they are not able to disclose the source of the Stearic acid." "In order to make a tire, not only us but also other tire brands as well, it require many different compounds but only natural rubber is relate to vegan issue and rest of other raw materials are petroleum refineries out." "...having checked with Falken Technical it appears stearic acid is used in the production of all tyres and many other rubber products including shoe soles because of vulcanization. I am sorry but there does not appear to be a "vegan" option." Nice blog!! Vegan car tires.. I have not much knowledge about tires. But my friend is going to open transport. So we analyzed price of tires of all brands to help him. Some secondhand trucks need to change tires. According to the UK law, your car must go through MOT to make sure that it is in a good condition and safe to drive. The experts at Newland Garage can check the Tyres in Hull and let you know that how long they can be used. Thanks for sharing. If anyone is finding Yokohama Tyres Pune, then please go for Shree Tyres. They are the best dealer of tyres in Pune. Great stuff provides best information . Valuable and great information is here. Very nice article sharing and provide a lovely information about Vegan Car Tyres to buy tyres online and is really appreciable. This is really informative. I want to know the prices to buy falken tyres online for all four tyres of my Hyundai Accent car. It is a very nice information about Hyundai Accent car.If anybody Wants to Buy Hyundai Accent Tyres Online please visit Tyreonwheels. Without tires, driving would be a much bumpier affair. When it comes time to purchasing new tires, you shouldn't skimp on quality simply to save money. job .This type of tyres in useful in snow ? Thanks for sharing the information.Shree Tyres in Pune offer Michelin tyres Pune for commercial and industrial vehicles. Tyres are of different types but it must have the tendency to serve the best drive even on hilly road, thanks for posting such a great blog. Nice blog shared here. One can also get the details of wheel alignment in pune only at Shree Tyres. Thanks for sharing. we are Finixx Tyre , Thailand tyre manufacturer, located in Thailand. Finixx Tyre Company can provide you with high quality truck and Bus Radial tyres made in Thailand. Visit our website for more information. Michelin year outdoes year to offer a product of comfort, long - lasting adhesion to all surfaces and safety. Nice article on car tyres. One can also get the details of tyre shops in sinhgad road only at Shree Tyres. Thanks for the post. Car Tyre are one of the best brands of tyres in the market. If anyone searching for car service deals christchurch then go for car Tyres. For more detail contact 33384653. We have a robust network of dealers that offer the best tyres for all vehicle ranges. Locate your nearest Apollo, Bridgestone, JK Tyre Tyres dealer tyresnmore.com and obtain relevant information using the fields above. and after that i have been through a long drive with my family.It was just like i had bought it 5 yeras ago. Wish you luck the same for having the same experience .Click here for more information. Thank you so much for this. So happy Michelin are vegan. Smiles all around :). Tyre manufacturers put special indicators into the tyre structure which can help identify the need of the new tyres seeing that you can easily know it’s time to buy new tyres. Specially designed bars made up of hard rubber which are visible on wearing of treads are such indicators. Great stuff and it is very informative and If anyone is looking for Bus tires supplier then please go for Zeetex. They are the best dealer and manufacturers of tyres. Car Tyres Dubai brings you the best quality tyres for all of your choices. Checkout our best pricing tyres here. It is really a helpful blog to find some different source to add my knowledge. I came into aware of new professional blog and I am impressed with suggestions of author. ?